Anthony Joshua takes on mandatory challenger for his WBA title Alexander Povetkin with AJ’s WBA Super, IBF, WBO and IBO belts also on the line on Saturday. If everything goes to plan for the North London boxer against the Russian boxer he’ll move one step closer to a career defining bout with Deontay Wilder or Tyson Fury. Sportsmail provide you with everything you need to know for Anthony Joshua vs Alexander Povetkin including time, date, location and channel plus fight records, odds and tickets. 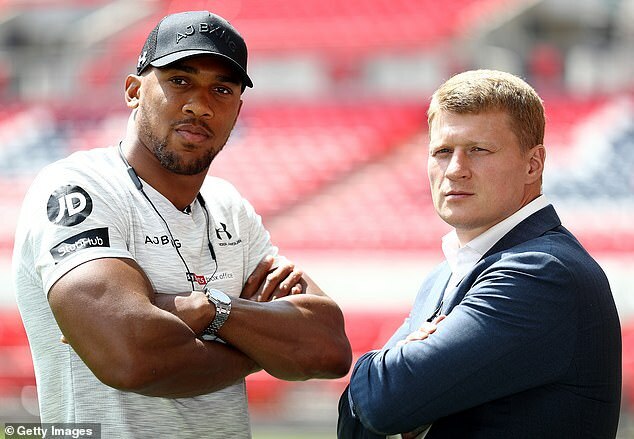 Anthony Joshua vs Alexander Povetkin takes place on Saturday 22 September. How can I watch Joshua vs Povetkin? You can watch Anthony Joshua vs Alexander Povetkin on Sky Sports Box Office for £19.95. It will cost an extra £5 for telephone bookings on the day of fight. TalkTalk TV customers don’t have to be Sky subscribers to catch Joshua vs Povetkin live. Visit channel 419 via Sky Sports Box office and pay £19.95 fee. Live streaming is available using Sky GO or Now TV. American audiences can watch Joshua vs Povetkin using DAZN live-streaming service. More information available here. 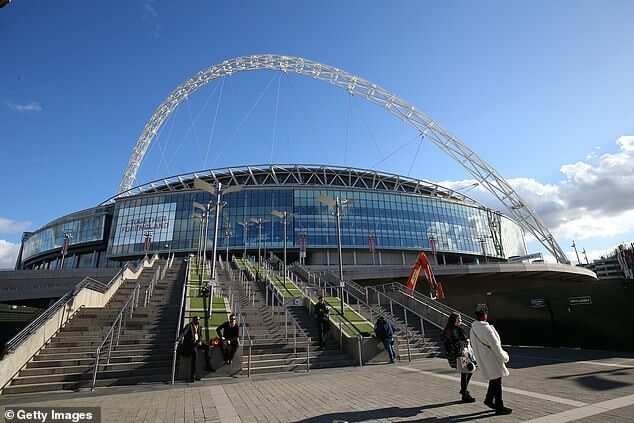 North London fighter Anthony Joshua will take on Alexander Povetkin at Wembley Stadium in London. The stadium has a capacity of 90,000.